Co-authored with Alexandre Baril, PhD, Assistant professor, School of Social Work, University of Ottawa. A few decades ago, sexologist Ray Blanchard suggested that trans lesbians — trans women who are solely attracted to other women — were in fact men whose misguided heterosexuality led them to be aroused by the thought of being women. Blanchard’s fetishistic typology has since been put to rest by careful analyses and scientific studies. Despite being discredited, the theory remains popular among opponents of transgender rights. Another idea is now making the rounds in anti-trans circles: “Rapid-onset gender dysphoria.” The theory suggests that youngsters are being misled into claiming a trans identity before they truly understand what that means. They are supposedly influenced by the internet, social media and peers. It is presented as a critique of the gender-affirmative model of therapy, which encourages supporting the child through their journey of exploration and affirmation of their gender identities, without expectations as to the result. Debra Soh and Barbara Kay’s recent pieces in The Globe and Mail and National Post bring this previously underground notion into the mainstream. They claim that rapid-onset gender dysphoria contradicts gender-affirmative care, which they misleadingly portray as pushing children to transition. This idea shares much in common with that of Blanchard’s earlier theory. It conveniently pulls on heartstrings by calling us to defend our children, much as Blanchard’s work appealed to our sexual puritanism. It distinguishes “good,” true transgender people from “bad,” fake trans people, allowing proponents to claim that they have nothing against trans people — well, at least the real ones. Theories which rely on the idea of “contagion” in order to invalidate marginalised identities are not new. The same has happened with other marginalised groups, such as gay, lesbian, and bisexual people. Young people were thought to be misled by the “gay agenda” into mistakenly and rashly claiming a queer identity. The idea of rapid-onset gender dysphoria gives munition to those who are eager to oppose gender-affirmative policies. Tarnished by transphobia and research study biases, it does not withstand scrutiny. Those who push the idea of rapid-onset gender dysphoria misrepresent the quality and extent of available science and the structure of gender-affirmative therapies. They say that 60 to 90 per cent of transgender children grow up not to be transgender. This is false. The statistic that 60 to 90 per cent of gender dysphoric children grow up not to be transgender is based on studies that are deeply flawed. 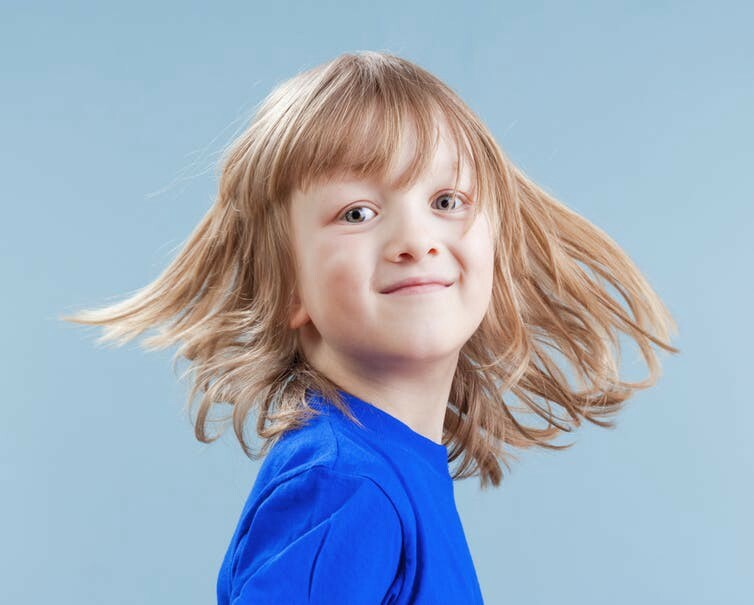 This body of research is known as “desistance research.” Children who have met diagnostic criteria for gender dysphoria are enrolled in a study. After a number of years, they are reassessed to see if they are still trans. If they are, they are said to have persisted with their transgender identity. If they aren’t, they are said to have “desisted” from that identity. The aim of the research is to estimate the number of transgender children who will grow up to be transgender adults. Desistance research uses outdated diagnostic criteria crafted in the 1980s and ’90s that don’t reflect current science. It has included many children who aren’t trans at all in research studies. In some studies, as many as 25 per cent and 40 per cent of children didn’t meet the criteria for diagnosis but were nonetheless included and later counted as not growing up to be trans. According to Dr. Kristina Olson, who offers careful criticisms of the studies, as many as 90 per cent of these children probably would have shown themselves not to be trans had researchers simply asked them: “Are you a boy/girl?” This is one of the indicators used today to tell whether a child is trans or simply gender non-conforming. And the 40 per cent of children who simply refused to participate were assumed by the researchers to no longer to be trans. The statistic is simply out of sync with the current state of scientific knowledge on trans children. As the mental health director of the University of California at San Francisco Child and Adolescent Gender Center, Diane Ehrensaft, points out in a peer-reviewed article, experienced therapists are typically capable of telling whether a young child is transgender — though perhaps not at first glance. There is one research study that seeks to document the existence of rapid-onset gender dysphoria. This too is riddled with flaws. The study was based on parental reporting and the participants came from websites where reports of “rapid-onset gender dysphoria” had cropped up. It was heavily biased towards specific groups and in no way can be said to be representative of the general population. Ultimately, the study tells us less about trans teenagers than it does about the parents being surveyed. The fact that there are more children who were assigned female at birth in the pool of children said to have “rapid-onset gender dysphoria” is used as evidence that it is not a natural phenomenon, but rather reveals that young girls are fleeing their womanhood under the pressure of misogyny or peer pressure. That most of the children surveyed were said to be girls can, however, be explained by other facts — including the fact that gender non-conformity among men is more likely to prompt consultation at a gender identity clinic. Furthermore, gender non-conforming girls have been historically underrepresented in clinics despite the ratio of trans men to trans women being roughly 50–50 in adulthood. Changes in referral patterns could just be a regression toward the mean. More and more teenagers are coming out. This is neither a surprise nor is it bad. Coming out, almost universally, carries not only some degree of personal stress but requires one to openly confront societal prejudices. As trans realities become more and more widely known, it becomes easier for trans people to understand their internal turmoil and open up about the fact that they are, indeed, trans. As we make friends who are trans, they help us understand ourselves and support us through the coming-out process. We should rejoice in the fact that trans visibility is helping more people realize they are trans — ourselves included, a few years ago. 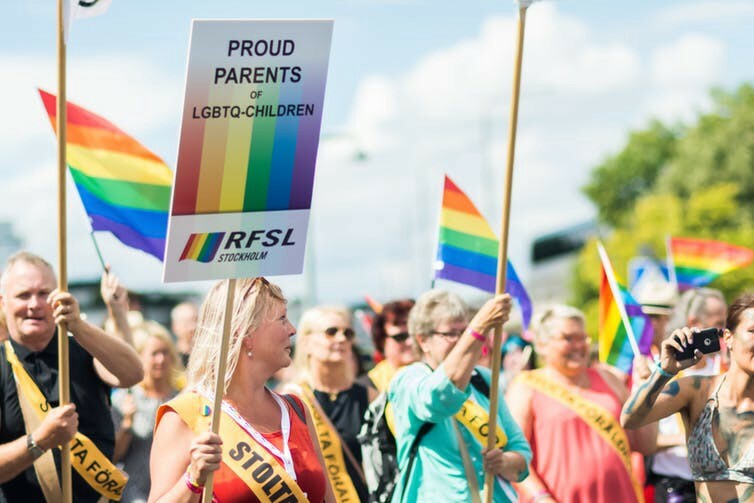 Instead of encouraging the child not to be transgender and risking pushing them back into the closet, therapists seek to support the child and their parents throughout the process of exploring gender. They remain neutral with regards to whether the child should be trans or not. And as for gender non-conforming behaviour like cross-dressing which some therapists seek to discourage, why not just let the child express themselves freely? Maybe they are not trans. Maybe they just want to wear those clothes and play with those toys. Often you can tell just by listening to the child, though they may not say it in easy-to-understand terms. Gender non-conforming children aren’t all being treated alike, contrary to what Debra Soh’s op-ed claims. Transgender children aren’t treated the same as cisgender (non-transgender) children by gender-affirmative therapists. And transgender children aren’t all being treated alike either, because each has different desires and different needs. Gender-affirmative therapy’s motto is: “Follow the child.” If that means following them to social transition and, in due time, medical transition, then so be it. But only if that’s what they truly want. Transgender children are in good hands. Therapists aren’t acting hastily in ignorance of scientific evidence. On the contrary, their approach is one that’s been built over decades of research and of following trans children. The unfounded idea of rapid-onset gender dysphoria is a poor attempt at manufacturing a new moral panic — based on the same old idea of “contagion” — over children who couldn’t be in safer hands. This article was published in The Conversation on March 22nd 2018.